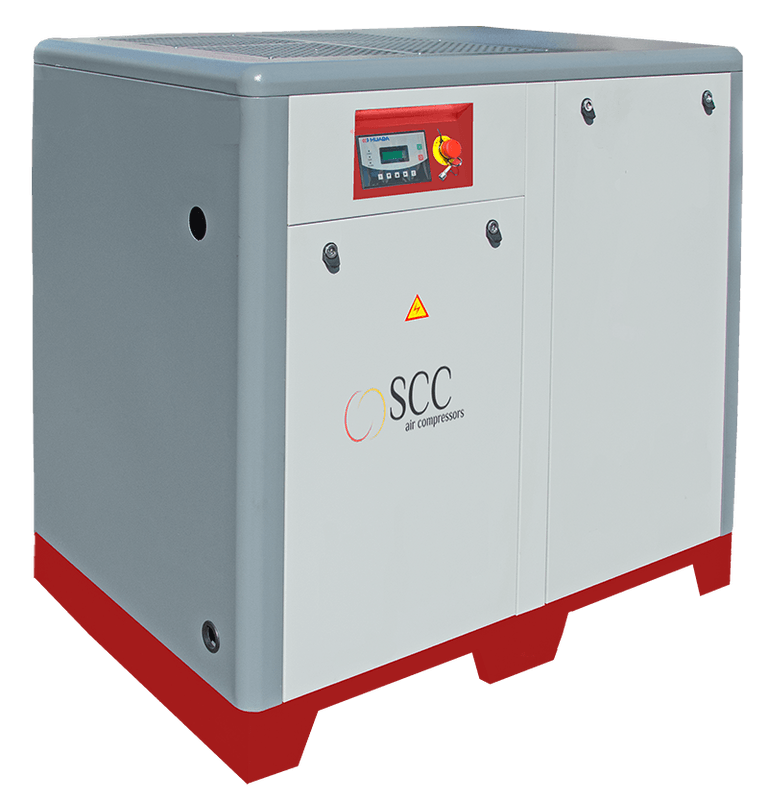 SCC screw compressors are gradually replacing obsolete reciprocating compressors, which are inferior in terms of reliability, performance, economy, noise and vibration, and a number of other major factors. 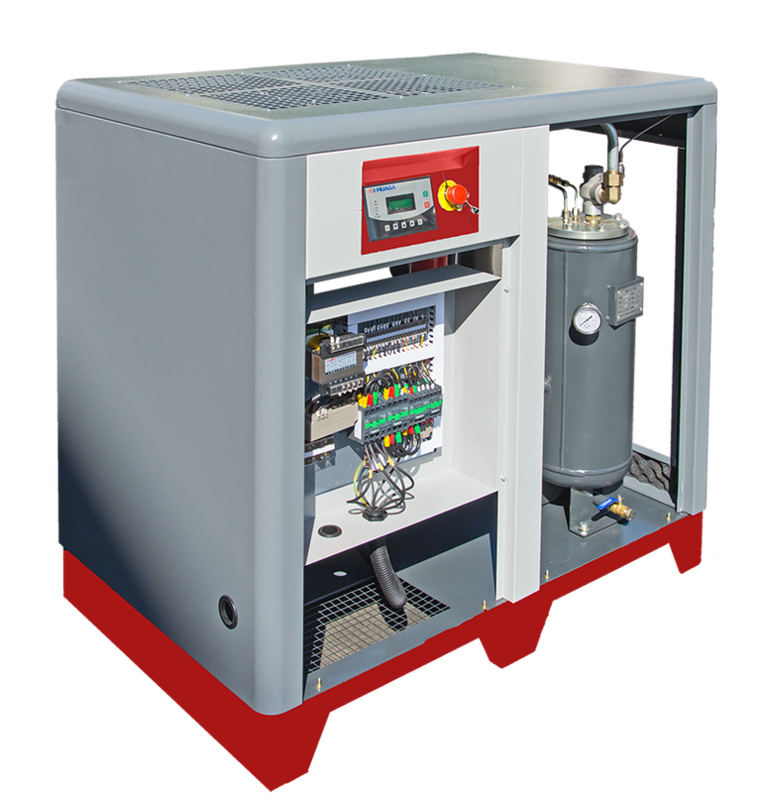 Focus compressors stand for friendly, simple and economical solution to produce compressed air with highest quality. Low noise level and service friendly with low maintenance costs. 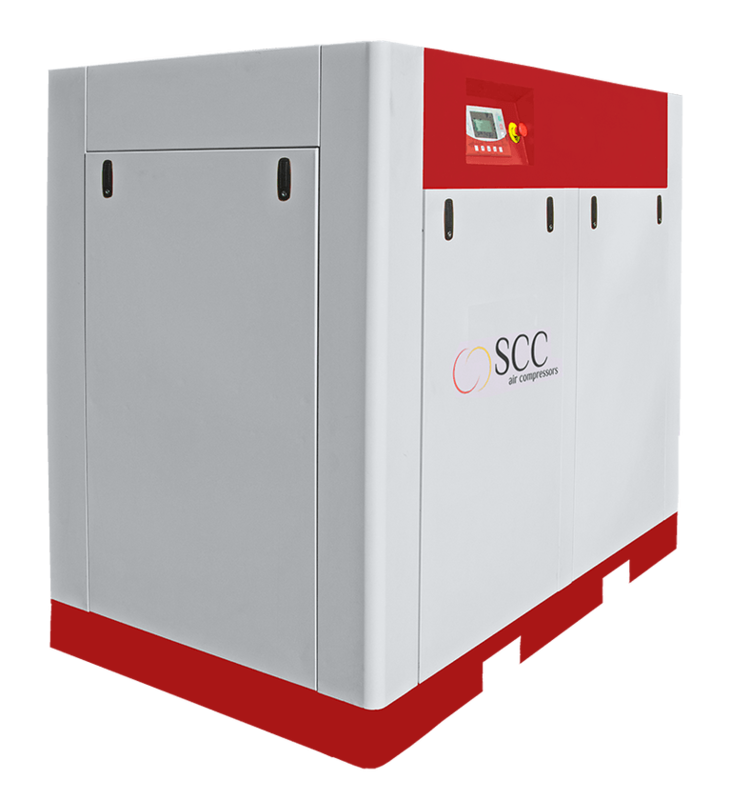 Our range of SMART compressors offers to our customers a customer friendly, simple but efficient solution to produce compressed air with highest quality. Easy to install, with a very low noise level, service friendly with low maintenance costs and with a small foot print to be installed nearly everywhere. Longer life time of air end due to no radial forces on air end´s bearing. Compressors of our Flexi range are our energy saving profs, they save up to 35% of electricity compared with today´s standard compressors. Approx. 10% of energy saving by using more efficient motors. Approx. 30% of energy saving by using frequency inverter control. By using frequency inverter the design can be optimised. This leads to highest energy saving potential. Our range of STRONG compressors are the real champions within the family of energy efficient compressors. By using highly efficient motors we can save up to 10% energy. Due to using permanent magnet motors increase efficiency of a compressor up to 10% compared with compressors using standard motors. Due to the much higher energy density of the permanent-magnet-motor such a motor can be up to two sizes smaller than a standard motor for the same kW-class. 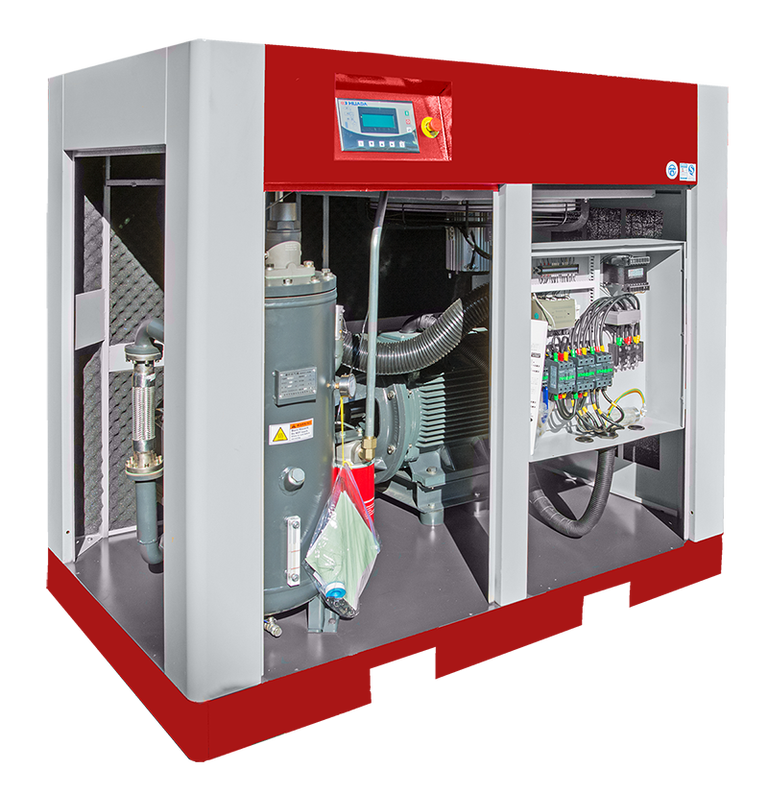 Therefore it is possible to design the compressor more compact, resulting in lower cost for piping and frame of a compressor and eventually smaller footprint.